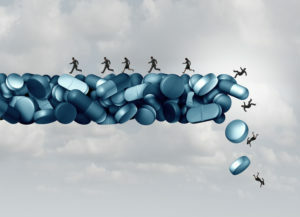 This opinion piece from The New York Times concisely sums up two other blog posts that we have written recently regarding articles on the opioid crisis in America; as such the opinions detailed in this blog post are from the Times piece. Per the piece, pharmaceutical companies have spent the last three decades getting the public addicted to opioids and the outcome for them has been nothing but financial success. There is little that separates this method of operation from the tactics used by the drug dealers on the street. Pharmaceutical companies and drug dealers are both guaranteed steady business once their customers are hooked their product. The blame for the epidemic we see today has been placed on the users of these pain medications rather than the drug companies that provided the fuel for their addiction. Increased discussion regarding the reality of this crisis as well as a growing number of articles shedding light on how it came to be may be a sign of a change in our way of thinking about opioid addiction.